Staff today are so busy keeping up with their daily workload that there is little time to think about their professional development. Yet professional development is essential to foster creativity, generate vision, and stimulate growth. Without such stimulus, many employees experience stagnation and eventual burnout. Adventure-based training offers staff the opportunity to focus on their professional development in a fun and supportive atmosphere. The training moves employees away from their desks and into a novel and exciting environment that fuels creativity and growth. 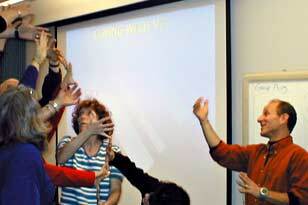 As active participants, they become active learners, fully engaged in the process. The activities make the training non-threatening and allow difficult issues to arise naturally, keeping the process productive and solution oriented. Communication and problem solving improve, trust is enhanced and staff coalesce as a team. 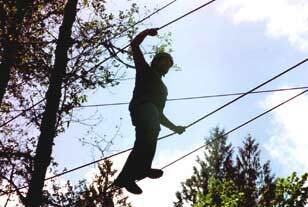 Adventure-based training is energizing and renewing and never fails to improve staff morale. 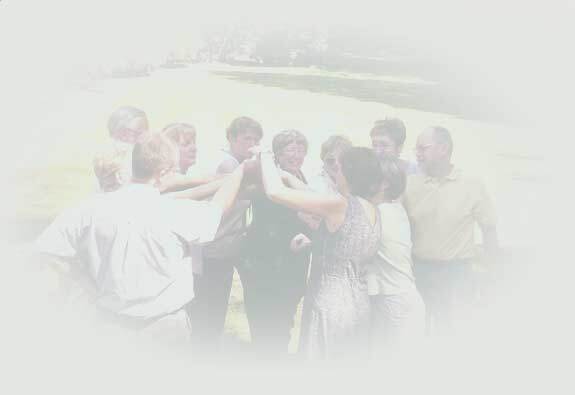 The Adventure-Based Model features a holistic approach to working with clients that engages the participant mentally, emotionally and physically. Whether it be therapy or staff development work, even the most resistant participants soon find themselves engaged in the process. Adventure-based activities are action-oriented, fun, safe, and productive. Adventure-based activities are ideal tools for group development because of their inherent ability to facilitate teamwork and improve group functioning. They are also solution-focused and whether you are in therapy or training, it is more effective to highlight strengths and build on what clients are already doing right. Dr. Bandoroff is committed to the use of an adventure-based model for working with clients in any setting. He has used adventure activities as a catalyst for change in the therapy office with one client as well as in a meeting hall with a hundred clients. Simply put, there is no better way to engage clients in a process of meaningful change. Agencies working with youth have a continual need to educate their staff on clinical issues. Having served as an Internship Director and a Clinical Director over the past 35 years, Dr. Bandoroff has provided training on a wide variety of clinical subjects. These have included such topics as anger management, adolescent development, motivation for (mis)behavior, reality therapy, family dynamics, and ADHD. 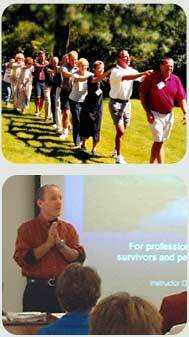 A particular favorite training topic that Dr. Bandoroff is passionate about is Vicarious Traumatization. In all of his trainings, he integrates adventure activities to help keep the trainings stimulating and the staff engaged. 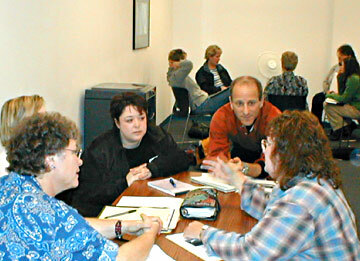 Case studies and small group discussion are also a standard component in clinical trainings. In addition to increasing their skill level, staff will feel supported, empowered, and prepared-ingredients which will enhance their performance. The Clinical First Responder Training will help staff become better equipped to handle day to day treatment issues and to respond appropriately to the inevitable crises that occur in programs. 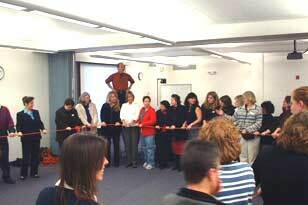 The end result is a more competent and confident staff and a more effective and professional program. Scott is simply amazing in his ability to guide teams through a meaningful and productive change process using experiential practices. He is definitely a leader in his field. If you are ready to tackle the tough issues in your organization, call Scott! Jenny Scanlon, M.S.W. I really appreciated that we were asked what our outcome goals were and throughout the experience, Scott continually checked in to guide the training to our group needs… I loved being able to share this experience with my co-workers. This training was awesome! Anderson T.
The physical activities gave us the opportunity to rely upon each other… I found all of the activities really helpful, even when I wasn’t able to see it in the moment…I wish we could have kept going. I felt like there was so much more to learn. Molly H.
It was very helpful to have someone who doesn’t work here help to facilitate our communication. We don’t do it much, even though it’s our job. It is so important. Jim S.
The training gave us the opportunity to communicate as a team in a fun and relaxing environment. Your mediation skills are great. Thanks for sharing your passion! 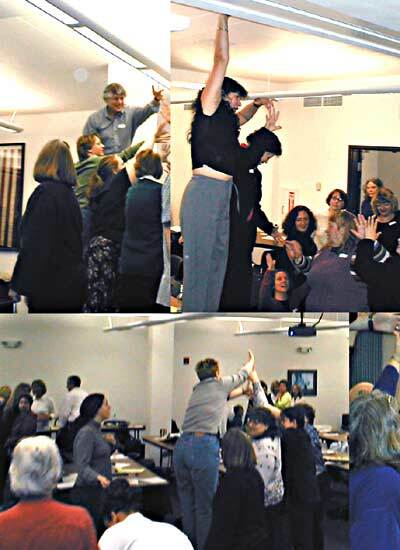 Sarah G.
This was a great training- a lot of fun and good information. It was a day well spent! I would like my entire team to attend a training of this nature. Ian A. The training helped to open our lines of communication and change our views of each other. It was an excellent training! Tracy G.
©2019 All rights reserved. Scott Bandoroff Ph.D.